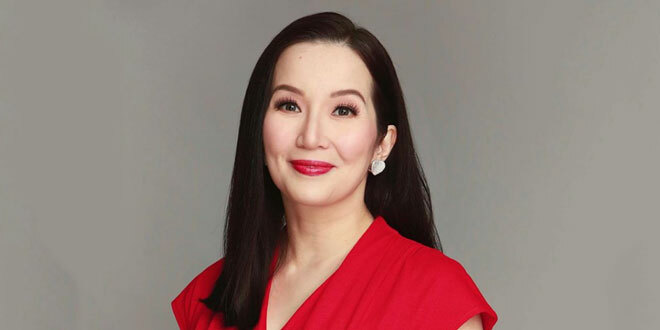 Queen of All Media Kris Aquino is indeed tough as a person. Any woman who has a brittle heart, weak mind and an onion-skinned persona wouldn’t last, even carry on with the way things are turning up against her. Imagine the series of adversities visiting her since four years ago—ABS-CBN’s non-renewal of her television contract and subsequent snob of other networks; health issues like severe migraine, hypertension and skin allergies all leading up to autoimmune disease and manifesting lupus and Chronic Spontaneous Urticaria; discovery of an irregular deal with former business manager Nicko Falcis II which led to her filing of four (4) counts of qualified theft against him; silent word war with James Yap, former husband, lover and father of her son Bimby; political bashers against her name etc. But Kris has learned to be cool and patient no matter her heavy heart and stressed out mind she has shown a relatively formidable countenance if only her public photos and video posts in her social media accounts are concerned. Her legal fight with Falcis continues. In the process, he has spoken a lot of things against her including dragging her severed ties with ABS-CBN placing the actress in the offensive. Well, she has also apologized to her erstwhile home studio which might be a defensive stance. Falcis has revealed her former client’s repulsion about the station when her exclusive photos from the film “Crazy Rich Asians” were published in an ABS-CBN media affiliate and her alleged disgust about a “half-baked” welcome of ABS-CBN when she did a movie with Star Cinema. All this has shown the tenacity of Kris. Just last week, she went back to Singapore for a follow-up medical check-up. Her doctors were observing her body reaction to the prescribed medicines and procedures to the former diagnosis. Blood tests were performed on her consistently to determine her health condition. Before going abroad, Kris appealed and beseeched the kindness of Nature (of the Lord being a devout Catholic) to at least give her more years, specifically ten years, to be with her sons Joshua and Bimby as they mostly need her as a mom. Despite all these, Aquino is able to publicize her state of health contrary to the common attitude of popular celebs to hide the true condition of their health which would affect their performances and public perception. Kris is still open and ready to rebut any harsh judgment on her especially in Facebook or Twitter. She’s giving her own shots on any criticism hurled on her, tooth for a tooth, an eye for an eye. She’s moneyed, alright but it’s not only the millions that matter. It is also the strong-willed fiber in her inner sanctum. There are blessings Kris is lucky to have achieved. In her hospital bed, Kris was all smile and proud of her Bimby because the boy wouldn’t leave her in the most trying times of their filial bonding.